Your front door is one of the biggest pieces of art in your home. 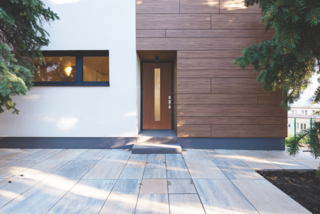 Here are a few ways you can focus your home’s style around your threshold. If the eyes are the window to the soul, then perhaps your front door is the entryway to the spirit of your home. 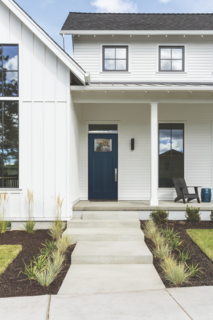 While it may not be the first renovation decision that comes to mind, selecting a door for every entrance of your home is a pivotal choice. Doors are a major design element of any project, and they can easily set the tone for your entire home. They are the largest piece of art most homeowners will ever own, and so selecting the right one is imperative. 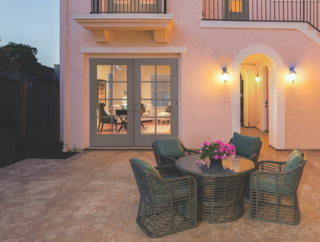 With a product line of cohesive styles, Masonite provides both interior and exterior door solutions that can act as the cornerstone of all your decorative decisions. 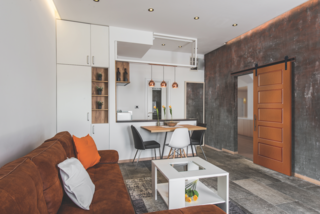 Below, Masonite introduces us to six emerging design trends that you can create simply, using your door as a building block. Midcentury Modern, a contemporary take on minimalism, is all about the purity of form following function. 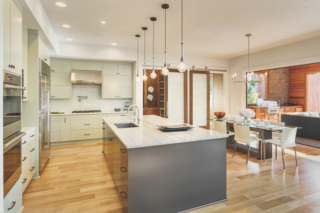 One of our favorite trends, Midcentury Modern is a contemporary take on minimalism and versatility. Rooted in the value of simplicity, Midcentury Modernism continues to move away from clutter and towards the sleek and modern. It’s all about the purity of form following function. Architect Carlos Alfonso says of this style, "Midcentury Modern, just as a form of typography, makes cleaner living and workspaces." A Midcentury Modern door will exemplify clean lines and simple design. From there, embrace the juxtaposition of mediums when decorating your home. A Midcentury Modern door will exemplify clean lines and simple design. It may also be a bold accent, with a striking color or strong, geometric forms. From there, when decorating with this trend, embrace the juxtaposition of mediums. Consider mixing striking patterns with elements from nature. Barn-inspired homes revive once-discarded places and objects, striking a unique, sophisticated balance between the old and the new. 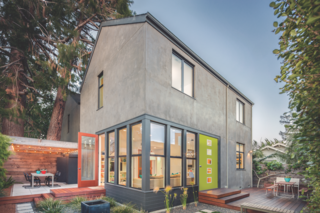 This trend is all about turning a house into a home. The barn-inspired homes revive once discarded treasures and update cherished family heirlooms, striking a unique, sophisticated balance between the old and the new. "Nothing is contrived," designer Barbara Gilbert says of this style, noting that when old farmhouses served their original purpose, anything and everything was reused. "People would turn old feed sacks into clothing as a way to reuse it. We’re seeing that concept revive in today’s world." Nothing about the Modern Farmhouse trend is contrived. When old farmhouses served their original purpose, anything and everything was reused. "People would turn old feed sacks into clothing as a way to reuse it," says designer Barbara Gilbert. "We’re seeing that concept revive in today’s world." Consider large, heavy doors made from reclaimed wood, sticking with warm neutrals and crisp whites. Incorporate features such as farmhouse sinks, shiplap, distressed wood, and antique accents. 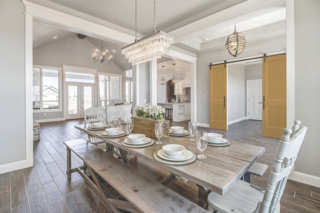 The barn door is a key feature of this trend. Consider large, heavy doors made from reclaimed wood. From there, stick with warm neutrals and crisp whites. Incorporate features such as farmhouse sinks, shiplap, distressed wood, and antique accents. You can add visual depth with black trim, contrasting metal accents, and fresh greenery. And certainly don’t be afraid to pull inspiration from the past; this trend will only continue to evolve beyond today’s modern take. The Mediterranean Luxe trend creates a sophisticated, well-traveled vibe, and it can be a bit nostalgic. "It’s all about the feeling and experiences you had when buying pieces for your home that will tell your story," says architect Elias Kababie. This look creates a vibe of well-traveled sophistication. Deriving inspiration from the multicultural Mediterranean region, the trend builds on warm color palettes (think terracotta), and delivers the exotic flavor of the region. This trend can be a bit nostalgic. "It’s all about the feeling and experiences you had when buying pieces for your home that will tell your story," says architect Elias Kababie. To execute the Mediterranean Luxe look in your home, select a heavy, ornate door, and maybe consider a grand archway over your entry. Starting at the front door, you may consider options which incorporate wrought iron and ornate glass; maybe even consider designing a grand archway over your entry. Or, stick with custom wood doors, as seen in homes throughout the Mediterranean region. 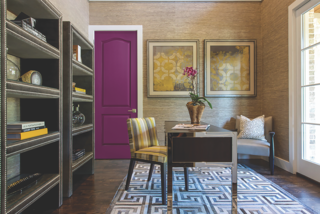 Beyond the threshold, consider rich jewel tones in your home. Work in bright colors through small details such as tile and art, but select a more natural "main tone", such as an ocean blue or an earthy brown. Kababie sees this look as very unique and natural. Handcrafted items fit in perfectly. 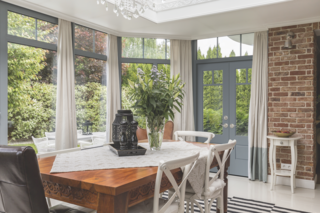 When decorating your Mediterranean Luxe home, work in bright colors through small details, but select a more natural "main tone", such as an ocean blue or an earthy brown. Kababie sees this look as very unique and natural. Natural and practical, the Scandinavian trend pulls in natural elements such as light and plants to enhance the space. There’s nothing more natural than Scandinavian design. This trend relies on nature and practicality, and uses natural elements such as light and plants to enhance the space. Claire Walsh, a trend forecaster, says of Scandinavian design, "It’s a lot to do with a state of mind first, this idea of living with what you have and making the most of what you have to make your daily life special." 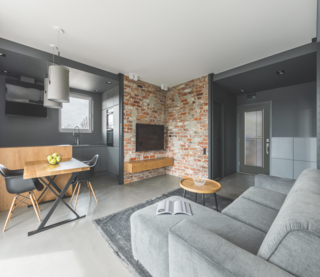 This look is very approachable and livable, which makes sense since it’s all about well-living, focusing heavily on creating a comfortable atmosphere. With this look, less is more. 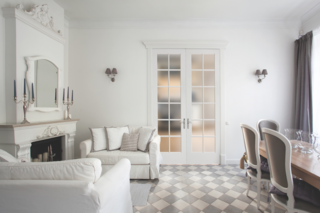 Select a door that’s light and neutral, perhaps made from a natural material such as beech, ash, or pine wood. Keep the rest of your space light and practical. Rely on a single color palette with white being the dominant color. Add a few plants and maybe a few pieces of art to add a bit of color. But keep it simple. With this look, less is more. Select a door that’s light and neutral, and keep the rest of your space practical with a single color palette. The Classic Revival trend is perfect for expressing a bit of elegance and refinery. Designed with the highest quality in mind, this trend celebrates deep roots and heritage. 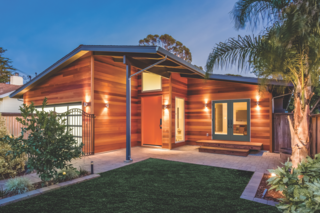 As trend forecaster Beth Taylor puts it, "We’re all living in our homes longer, so we want a home that will grow with us. Making Classic the foundation affords the luxury of creating a piece of history." This trend is perfect for expressing a bit of elegance and refinery. Build your home’s Classic Revival look around your door—the base layer. Maybe go for a sophisticated metallic color, which will create a peaceful effect. Add texture or patterns to your Classic Revival look with artwork, drapes, carpets and wallpaper. Have fun with every layer, but keep things symmetrical. 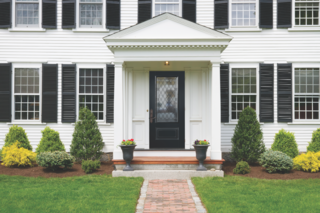 Start with the front door as your base layer; you will build your home’s classic look upon it. Maybe go for a sophisticated metallic color, which will create a peaceful environment. From here, add some texture or patterns through artwork, drapes, carpets and wallpaper. Have fun with every layer. But keep things symmetrical; this will keep up those feelings of calm throughout your space. If you’re decorating your home with an Urban vibe, embrace industrial materials such as exposed brick and pipes. Maybe you live in an old loft or a refurbished industrial building. No doubt it comes with exposed materials, such as pipes and bricks. These sorts of spaces blur the lines between home space and work space, and this trend says, embrace it! As designer Angela Davis puts it, "Today, things that are not perfect are readily accepted. It adds texture, history, and story." When selecting your Urban door, go with something industrial; something heavy and metallic, like this painted, molded panel barn door. It will anchor your space in its urban setting. Draw upon the imperfection of your space and pair it with refined items. High quality pieces will blend well with the cold, raw industrial space. For your door, however, go with something industrial; something heavy and metal. It will anchor your space in its urban setting. Then, individualize your space by layering functional pieces with unconventional fabrics and textures. These types of spaces can become very warm and inviting with the right touches, such as splashes of bold color and luxe carpets and drapes. Draw upon the imperfection of your Urban space and pair it with refined items. High quality pieces will blend well with the cold, raw industrial space. Every one of these beautiful trends will stand the test of time. 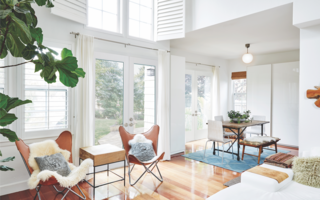 While selecting the right one for your home may seem overwhelming, defining your style can be as simple as picking out your front door and designing your space around it. Masonite’s vast and refined selection of doors makes this easy. The company is an innovative design resource, and ahead of the curve of current trends. Define your style, and find the door that’s right for your home.